The now famous 2015 Dodge Challenger SRT Hellcat supercar is in the spotlights again, this time the model coming in more details, after it first appeared only in a few tweaks and shots. 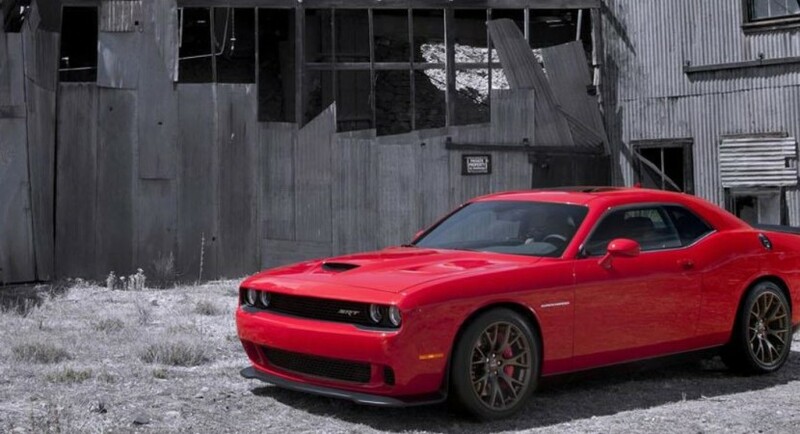 The Dodge North American based automaker has released some interesting details with its premium Challenger SRT Hellcat model. Thus, we are talking about some new axles being put on the Hellcat, along with an asymmetric limited differential and 20-inch forged aluminum wheels, being wrapped in Goodyear tires. The rims are perfectly running due to the Brembo braking system, alongside rotors up in the front and six-piston calipers. Now, what is particularly interesting about the supercar Challenger Hellcat, is the massive power it sports under the hood, being equipped with the impressive 6.2-liter HEMI V8 unit. The 2015 Dodge Challenger SRT Hellcat is now able to develop a huge 600 horsepower (447 kW), with the unit being hooked to a six-speed manual transmission, or an optional eight-speed automatic one. Unfortunately, the Dodge automaker hasn’t released any details concerning its performances or the date of the Hellcat`s launch yet, but we should expect other info soon enough.